Just thought I’d introduce myself, names Andy and I stay in Greenock which is about 14 miles west of Glasgow airport, with my wife and 2 kids. My parents have a cracking GSD called Rudi so at least he’ll end up with a new friend that won’t mind a bit of ruff and tumble. 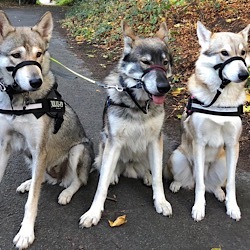 Hi Andy, nice to meet you I’m Saira and I live in Edinburgh with Nikan 8months and Misty 2year old rescue that I rehomed thanks to Lynn earlier this year. I am also the Scottish Rep so now there’s a growing number of us we are looking to start arranging walks /events etc up here. 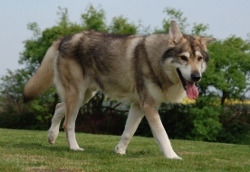 Sairawalker wrote: Hi Andy, nice to meet you I’m Saira and I live in Edinburgh with Nikan 8months and Misty 2year old rescue that I rehomed thanks to Lynn earlier this year. I am also the Scottish Rep so now there’s a growing number of us we are looking to start arranging walks /events etc up here. Hi Saira nice to meet you too. Andy, we are looking at meeting in Callander in September.....is there a Saturday or Sunday in September that woulld suit your shifts best and I can use that as a starting date for others? Also do you have messenger to keep up to date with plans?